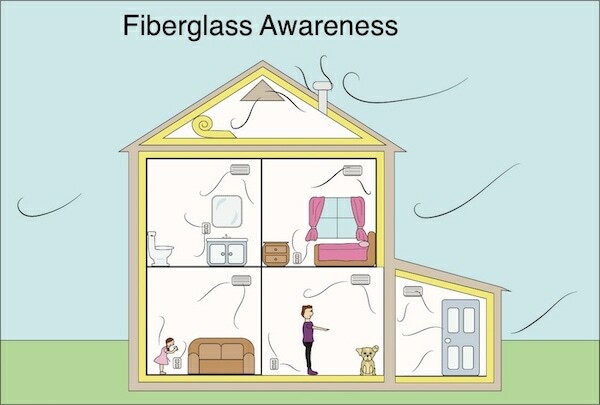 When we discovered that not only did our home have an airborne fiberglass contamination problem, but so did our place of employment, I was concentrating on the ailments it caused to the humans, when it occurred to me it was not just the humans the poor indoor air quality was effecting, but also the dogs. Dogs spend a lot of time on the floor low to the ground where the microscopic fiberglass dust eventually settles. The cold air return also returns dust and vapors running across the floor where the cooler air is. Dogs cannot explain to us if they are feeling dizzy or have a headache. We humans have to look harder and pay closer attention to realize they are not feeling well. 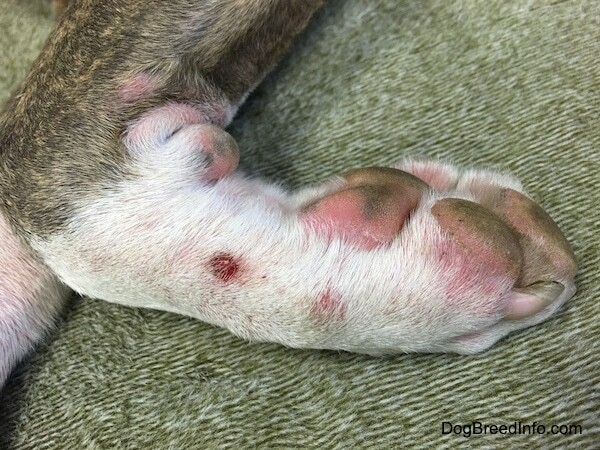 Out of the four dogs that lived in the same contamination, three would develop skin rashes, two were more severe than the third. All four would get conjunctivitis in the eyes due to foreign matter. Three of the four would sneeze and cough with mucus sometimes coming out of the corner of their noses. One of the four developed very bad breath, as toxins tax the liver, blocks and kills bacteria. 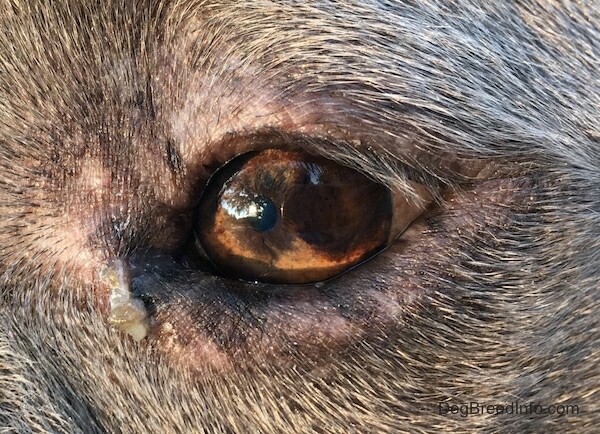 Two of the four dogs developed tumors. 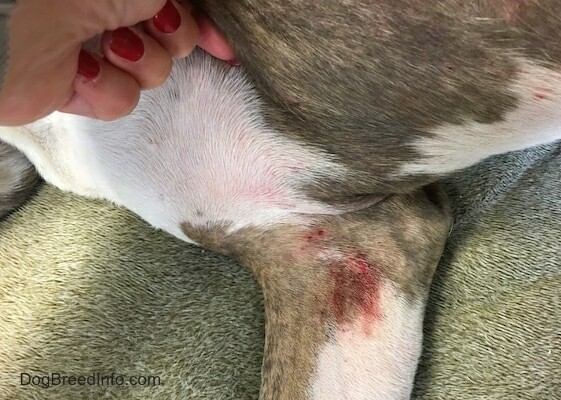 I discovered that jock itch spray would take the rash away if I sprayed it on the dogs several times a day, and later found out that the powder in the spray, talc, is known to block the tiny glass fibers. 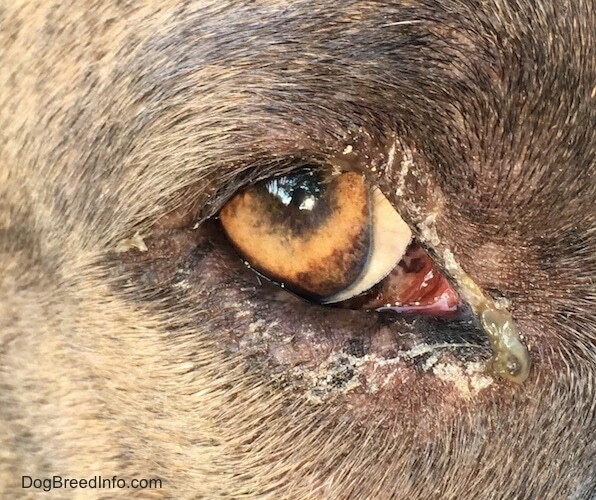 Bruno the Boxer would repeatedly get mast cell tumors, which we would surgically remove and he eventually died of stomach cancer. I did not consider the cause being bad indoor air quality. But when a second dog living in the same environment developed a mass that looked very similar to the type Bruno would develop, it makes one wonder. 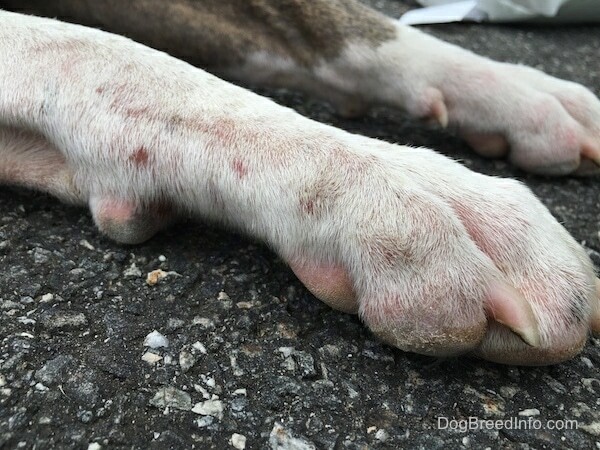 Can a high amount of toxins in the blood cause a mast cell tumor or a histiocytoma to grow? If so, what other ailments can it cause? 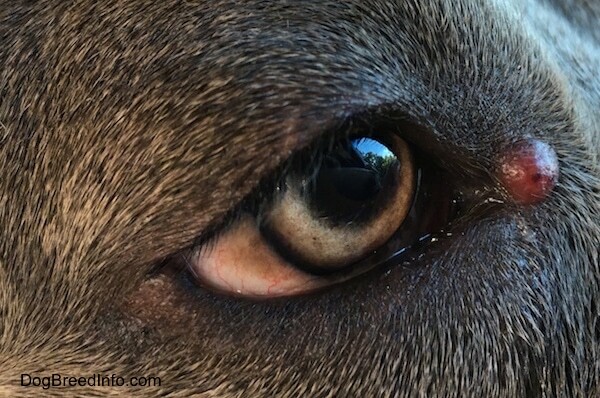 When Bruno had a blood test after his mast cell was discovered the results came back that he had elevated liver levels. He had to go on an actagal treatment. Liver, toxins.... When toxins build up in the blood stream a wide range of things can develop. 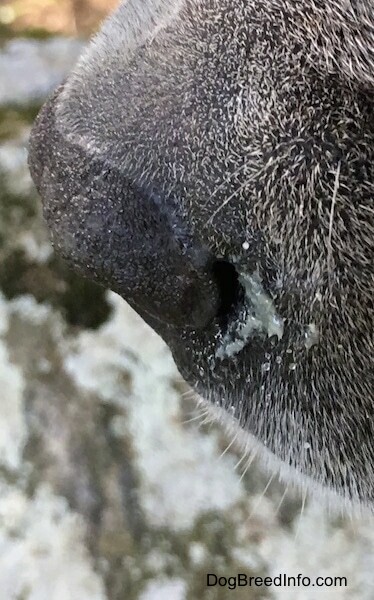 Mucus coming from the dog's nose. This dog would also repeatably sneeze the moment she walked into an area that had airborne fiberglass. The toxic air would make my lungs tighten and at the same time the dogs would start to sneeze. I personally would feel it along with the dogs, where others in the same room would state they felt nothing. 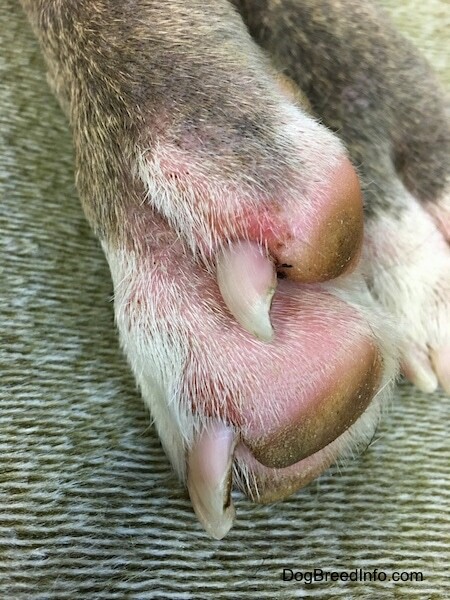 Pink itchy, inflamed paws with scabs. 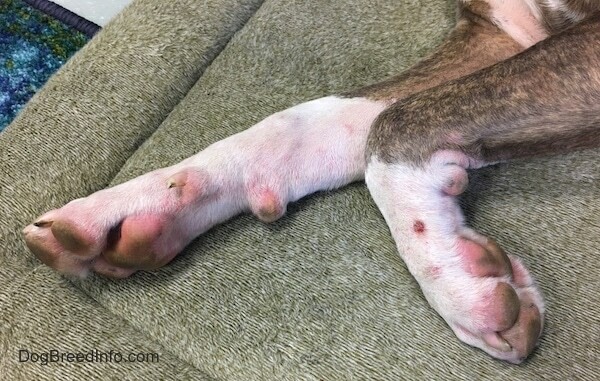 This dogs feet and legs are very itchy, pink and scabed where he chewed himself raw. 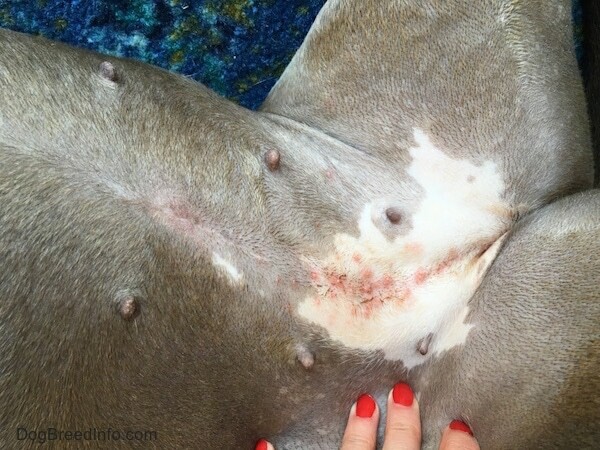 If you touch this dog's pink belly his leg begins to kick a little too enthusiastically as his skin itched. 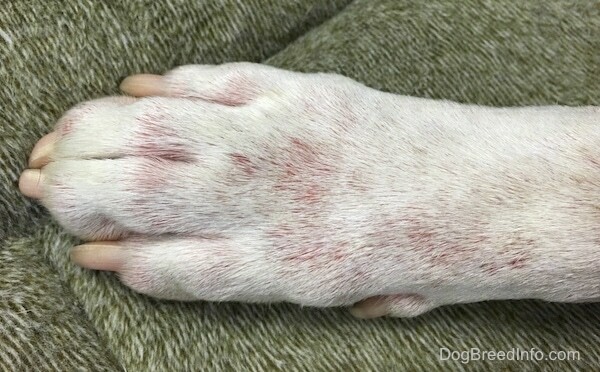 Pink, itchy rash on the belly where the dog's skin touches the ground when he lays down. 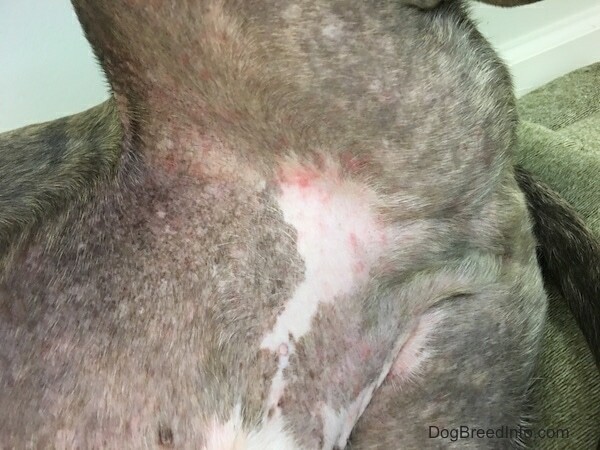 Pink, itchy bumps on the belly of the dog. Lumps all over the back of this dog who decided to roll all over the floor belly up in room that had airborne fiberglass floating around. 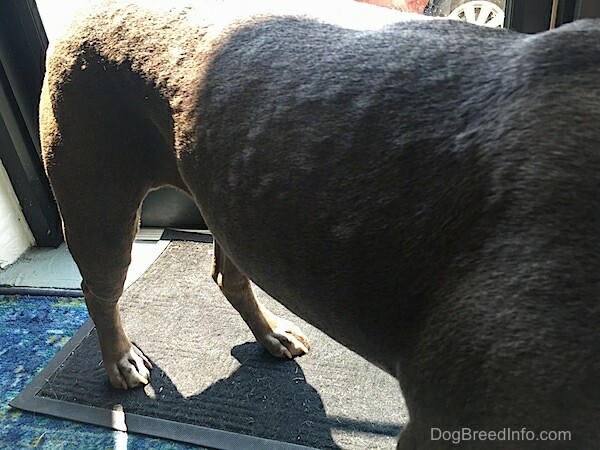 Notice all of the bumps under her fur. 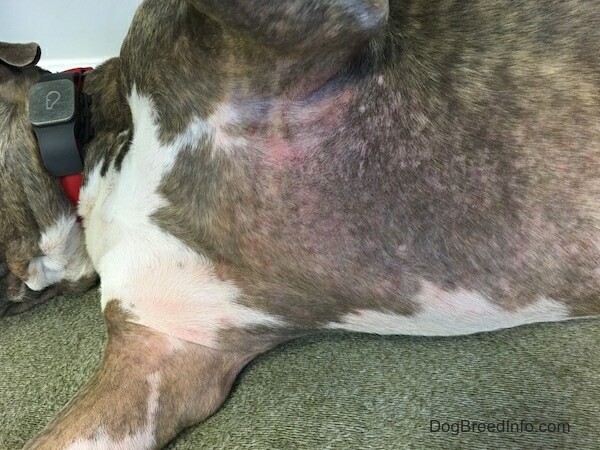 This rash went away when she was removed from the environment, by moving to a new house, without any other treatment. Unfortunately glass is very hard to detect in the air. You have to magnify it 2,000 times on a special setting to see it. 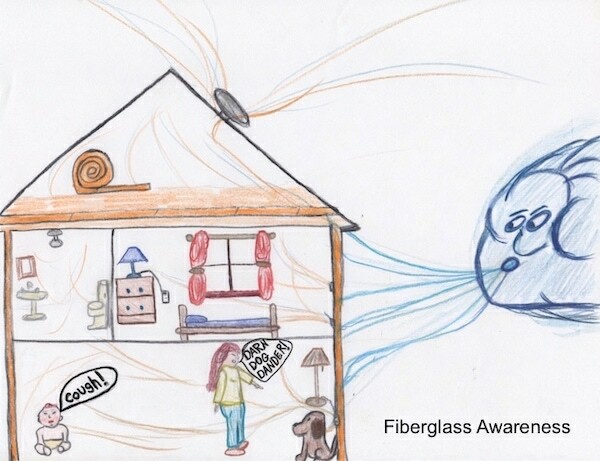 Airborne fiberglass is a huge problem because its everywhere, carpets, behind walls where wires run to the lights and outlets, in attics vented to the outside, in basements in floors, in stores, churches, schools… If your dog does not seem well or has a skin rash, you must look at the environment the dog is in. From discharge in the eyes to skin allergies to bad breath, airborne toxins often bypass the lungs getting into the bloodstream, taxes the liver, kills and blocks good bacteria in the gut and can cause a wide range of health ailments.